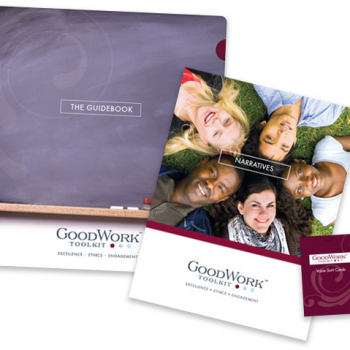 The GoodWork Toolkit is an approach to engage individuals and groups in conversation and reflection about good work. The Toolkit consists of a flexible set of materials, including vignettes of individuals who struggle to carry out good work, and accompanying questions and activities. Since 2007, educators at all levels—elementary school to graduate school—from around the world have implemented these materials in their coursework in a variety of ways.